At IE University we are well aware that choosing what to study at university is one of the most important decisions you have to make in life. Your choice will have a huge bearing on your personal journey, your professional future, and your achievements in life. We know you are experiencing something special: a unique moment in time, in which you are the protagonist. 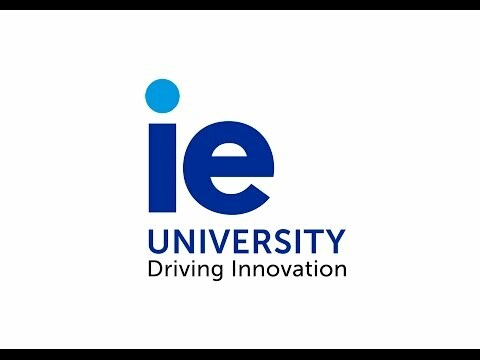 The aim of the IE University Admissions Department is to guide you in your choice, show you what IE University has to offer and, if you like what you see, help you through the admission process. We provide you with individual attention: you will be assigned a contact person in the Admissions Department, who will liaise with you in all your dealings with IE University. 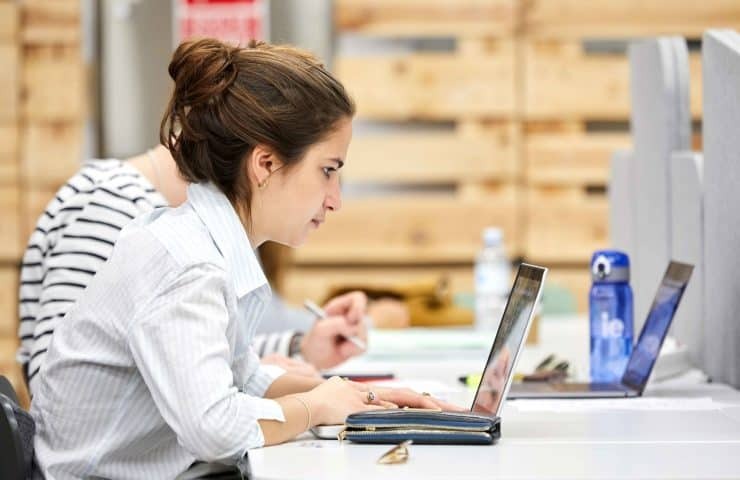 Below you may find some helpful information about the university entry qualifications depending on your educational system and the legal requirements to access higher education in Spain. Do not hesitate our Admissions Department (ieuadmissions@ie.edu) for any query. 75 percent of our students are international, coming from more than 60 different educational systems. IE University welcomes applications from all around the world. Over 75 per cent of our students are international and they represent more than 110 different countries, which enriches the student experience and fosters reflection, debate and the exchange of ideas. Our students speak on average 3 languages each and they come from more than 60 different educational systems. Diversity is highly valued in our Admission Process. The Admissions Committee will evaluate our applicant’s academic performance as well as their awards and accomplishment in the extracurricular activities in which they have been involved in. At IE University, we take a holistic approach when evaluating applications in order to bring in the most talented and interesting candidates through our competitive admissions process. We therefore assess all of our applicants individually. Our review process identifies and recognizes creativity and a wide range of competencies, which are not always reflected in a traditional assessment based solely on academic achievement. THE INFORMATION BELOW IS PROVIDED AS GUIDANCE FOR THE MOST POPULAR EDUCATIONAL SYSTEMS REPRESENTED ON CAMPUS. THESE GUIDELINES ARE PURELY ADVISORY AND DO NOT GUARANTEE ADMISSION. The Spanish Government requires a minimum of 3 A-Levels. IE University makes offers in the range of A B B to A*A*A*. Additionally, IE University strongly recommends taking subjects relevant to their chosen program. If you are not able to provide relevant subjects you may be asked for some additional academic requirements. Although the Spanish government also requires a minimum of 5 GCSEs at grade C or higher, IE University applicants should preferably have obtained As and Bs, especially in the subjects relevant to their chosen program. Typical admissions are based on scores between 30 and 45. The average final IB score of our students is 35. IB Students must present the full IB Diploma, since the IB Certificate is not legally accepted in Spain. Specific subjects may be required depending on the bachelor. We are for looking for final BAC results of 14 or over (Mention Bien and Mention Très Bien). The Baccalauréat technologique and Baccalauréat professionnel are not accepted. You should be aiming for a final average of 2.5 to 1 with Sehr Gut or Gut in subjects most closely related to the bachelor you want to study. We are looking for a GPA score of 3.0 or more. Although not required, AP and Honors Courses are highly recommended. Important note: The Spanish Ministry of Education requires that all students graduating with a US Diploma present the transcripts of the last 3 years of High School ( Year 10, 11 and 12), and do not allow students to skip any academic years. For those students enrolled only in year 12 and graduating with the US Diploma, they are expected to present transcripts of the equivalent of Year 10 and 11 in their corresponding academic systems, otherwise, they won’t be able to obtain the homologation to the Spanish educational system. You should be aiming for 70 to 100 points. We are looking for an overall score of Calificación de Acceso a la Universidad (CAU), mandatory section, of higher than 7 (out of 10). 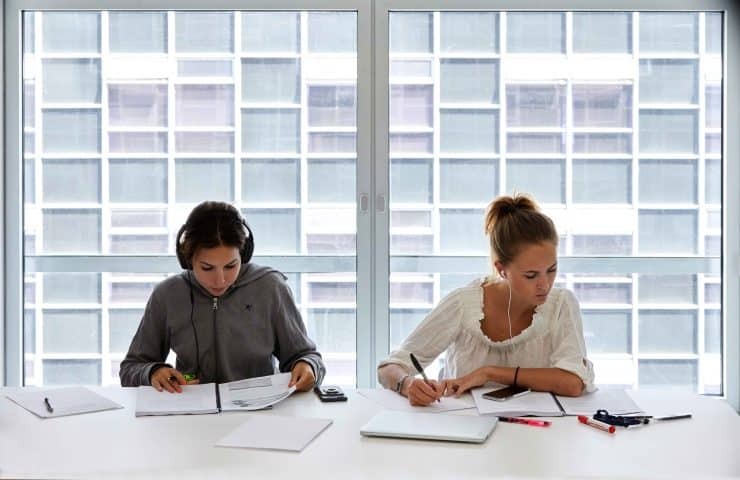 IE University does not require that students take any subjects in the Fase Voluntaria of the EvAU/EBAU but is highly recommended and valued during the admissions process. Specific classes may be required depending on the bachelor. Please note some of our degrees offer a reinforcement program (the Language Proficiency Track) for students who need to improve their English fluency. For further information, see the steps involved detailed in the link below or contact your admissions advisor.